Bellmore, New York, USA. 7th August 2015. 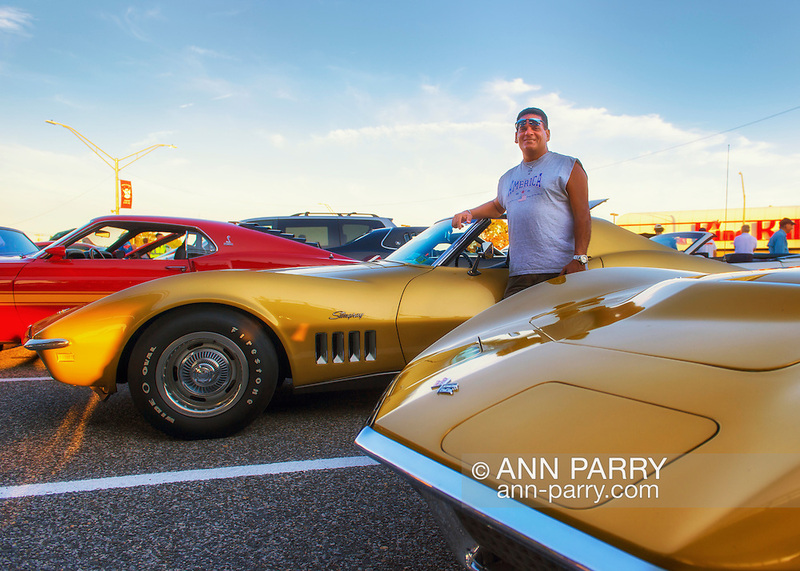 JIMMY STELLAS, of Freeport, is standing in front of his War Bonnet Yellow 1969 Corvette Stingray, at the Friday Night Car Show held at the Bellmore Long Island Railroad Station Parking Lot. Hundreds of classic, antique, and custom cars were on view at the free weekly show, sponsored by the Chamber of Commerce of the Bellmores. In front of Stellas is a Riverside Gold 1972 Stingray Vette.